The 45th Season features inspiring stories for extraordinary people including a Tony Award®- winning musical by Pulitzer Prize Winner Lin-Manuel Miranda. 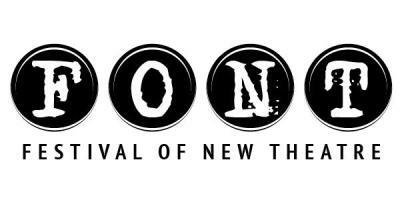 Geva Theatre Center’s Artistic Director Mark Cuddy and Executive Director Christopher Mannelli are proud to announce the 11 major productions and events of the much anticipated 2017-2018 Season, the non-profit theatre’s 45th year of making professional theatre of a national standard in Rochester. On the eve of the 2008 Presidential Election, four intellectuals find themselves embroiled in a complex web of social and sexual politics. Brian, a neuroscientist, is studying the brain’s responses to race and its societal implications. Ginny, a psychologist, is studying low-income Asian-American women’s reaction to stress. Jackson, a young doctor, has opened a clinic for low-income patients. Valerie, a talented actor, is struggling to make ends meet by working as a maid. 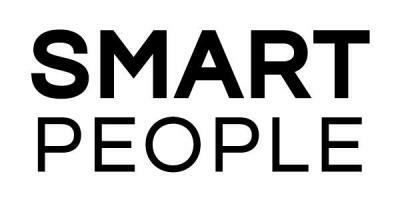 Everyone wants to be successful, to find love, and to feel as if they’ve made a positive impact on the world. But what influence does race have on that quest? A brilliantly hilarious and incisive play by the playwright of the award-winning Broadway play, Stick Fly. 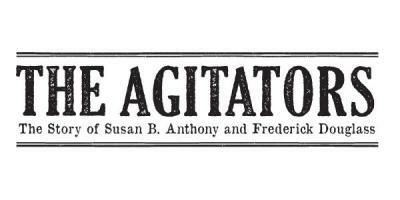 The Agitators tells of the enduring but tempestuous friendship of Susan B. Anthony and Frederick Douglass. Great allies? Yes. And at times, great adversaries. Young abolitionists when they met in Rochester in the 1840s, they were full of hopes, dreams and a common purpose. As they grew to become the cultural icons we know today, their movements collided and their friendship was severely tested. This is the story of that 45-year friendship - from its beginning in Rochester, through a Civil War and to the highest halls of government. They agitated the nation, they agitated each other and, in doing so, they helped shape the Constitution and the course of American history. 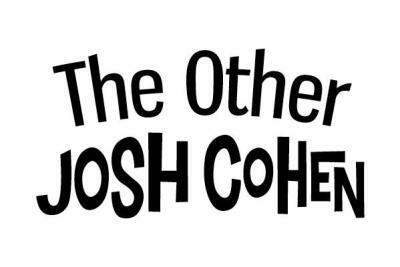 Josh Cohen just can’t get a break (or a girlfriend). He’s overweight, broke and underemployed. To top it all off, his apartment is robbed of everything but a single Neil Diamond CD. But then a mysterious letter arrives that could change his life forever. This hilarious and ingenious musical comedy by David Rossmer and Pittsford native Steve Rosen was nominated for six Drama Desk Awards and the Lortel Award for Outstanding Musical. 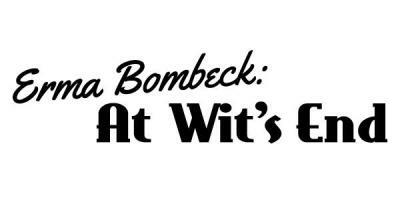 Erma Bombeck, one of our country’s most beloved humorists, captured the frustrations of her generation by asking, “If life is a bowl of cherries, what am I doing in the pits?” Starring “Suburban Outlaw” and columnist Pam Sherman, this is the story behind America’s favorite average housewife who championed the lives of women with an incomparable wit that sprang from the most unexpected place of all — the truth. 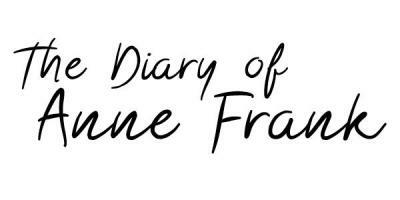 The Diary of Anne Frank is one of the most important literary works of the 20th century. In this powerful new adaptation, Anne Frank emerges from history a bright and talented young girl with the aspirations of any teenager. This impassioned drama about the lives of eight people in hiding from the Nazis in a concealed Amsterdam attic captures the claustrophobic reality of their daily existence. Anne’s story of love, hope, courage and triumph of the human spirit has captivated audiences with its profound message for over 70 years. Dr. Harold Banks is a renowned professor of Comparative Literature at the University of Nebraska. When Nazrullah, an Afghan refugee, suddenly arrives at his doorstep armed only with well-worn copies of The Diary of Anne Frank and The Old Man and the Sea in his hand belonging to Harold’s daughter – an American teacher killed in an attack on an Afghan Girls School - the two men spend the next few months as unlikely roommates. 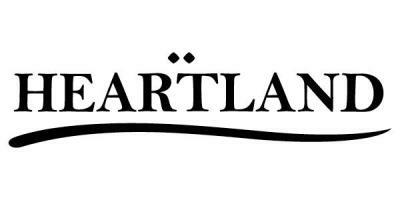 Featuring Artistic Director Mark Cuddy as ‘Harold’ in his return to the Geva stage, Heartland is an emotional journey through love and loss, an examination of culpability and, ultimately, a meditation on the power of forgiveness. When Rafael and Camila Hernandez move in downstairs to help Joanne with her elderly and cantankerous curmudgeon of a father, Joanne breathes a little easier. She needs their help, and they need jobs. But she can&apos;t anticipate the complications that arise when "the help" starts to feel like family...and act like it. A brilliant new comedy by one of today’s hottest playwrights about boundaries, power, privilege and anxiety in a single backyard. Truvy’s motto at her Louisiana beauty shop is: “There is no such thing as natural beauty.” Through clouds of hairspray and over the buzz of blow dryers, six sassy southern spitfires gather every week to gossip, swap recipes and support each other through thick and thin. But those sisterly bonds are about to be tested when M’Lynn and her daughter Shelby face a life-changing event. 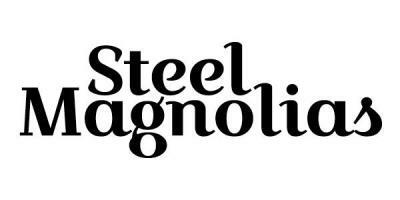 Heartwarming and humorous, Steel Magnolias is a story of love, loss, and enduring friendship. To celebrate Geva’s production of Lin-Manuel Miranda’s In the Heights, and the centenary of the original Broadway play, Hamilton, written by West Bloomfield native Mary P. Hamlin and stage and screen star George Arliss, Geva will present a one-night only reading of the play on Monday, September 20. 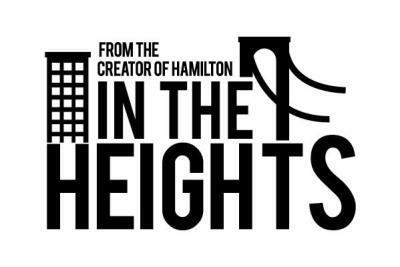 The reading will feature In the Heights cast members and is underwritten by Mary Hamlin’s grandson, George Hamlin IV, Chairman of Canandaigua National Bank and Trust and his wife, Mary. The Fielding Stage will once again be a venue for the KeyBank Rochester Fringe Festival, hosting a wide variety of performances. A two-week showcase of new plays and projects that are currently in Geva’s developmental process. More than 330 full-length or short works have received readings and/or workshops as part of Geva’s new play development programs, and more than 65 have had subsequent productions around the country and the globe. On Christmas Eve, Scrooge is visited by a series of ghosts who remind him who he was and what he might yet become. He learns the true meaning of the season and that it’s never too late to make a new start. The famous tale of redemption for the most despised man in London will awaken your heart and rekindle your spirit in this critically acclaimed adaptation. Recommended for the entire family! (Please remember that children under five are not permitted in the theatre.) *Note: Not a part of the ESL Wilson Stage subscription series. The girls with big skirts, big voices and big dreams are back with another musical trip down memory lane! We’re back in 1958, and it’s time for the Wonderettes to graduate in this delightful sequel to last season’s hit! Join Betty Jean, Cindy Lou, Missy, and Suzy as they sing about their final year in high school, celebrate and prepare for their next step toward a bright future. Act Two zooms ahead to 1968, where the girls celebrate Missy’s marriage to Mr. Lee! Featuring “Rock Around the Clock,” “At the Hop,” “Dancing in the Street,” “River Deep, Mountain High” and 25 more hits, The Marvelous Wonderettes: Caps & Gowns will have you cheering for more! As in past seasons, Geva will again partner with area cultural and community organizations including Rochester Latino Theatre Company with the theatre’s production of In the Heights and The Susan B. Anthony House and Museum with The Agitators. Geva will announce more details on these, as well as additional cultural and community partnerships, throughout the season. Because professional regional theatre cannot be sustained on ticket sales alone, Geva Theatre Center thanks those generous individuals and businesses that have already committed to making the 2017-2018 Season a memorable one: ESL Federal Credit Union; Rochester Regional Health, Dr. Dawn Lipson, The Gouvernet Arts Fund at the Community Foundation; KeyBank; New York State Council on the Arts with the support of Governor Andrew M. Cuomo and the New York State Legislature; The Mary S. Mulligan Charitable Foundation; Rockcastle Florist; Gray Locey, CPA, P.C. 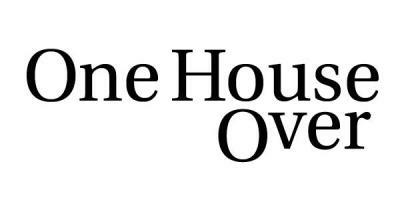 ; Harter Secrest and Emery LLP; St. John’s Living; All-Occasions Catering; immaginé Photography; Madeline’s Catering; NOX; Salena’s; Tasteful Connections Catering; Black Button Distilling; ROC Brewing Co.; and Media Sponsors 100.5 The Drive, 13 WHAM TV, Entercom, Fox Rochester, Legends 102.7, WARM 101.3, WDKX, WHAM Radio, News10NBC, WROC TV and WXXI Public Broadcasting. Subscriptions for the full 9-Play 2017-2018 Season are on sale now from $201. The ESL Wilson Stage Series and Fielding Studio Series may be purchased separately, from $117 and $84 respectively. Subscribing is easy, flexible and affordable. Subscribers enjoy the best seats at the best prices, plus a host of exclusive benefits like ticket exchange privileges, priority advance booking and discounts, money-saving coupons to area restaurants, free coat check and more. For more information on subscribing to Geva’s 2017-2018 Season visit: www.gevatheatre.org/subscribe-now/. Subscribers to the 2017-2018 Season will be able to purchase tickets for A Christmas Carol and The Marvelous Wonderettes: Caps & Gowns beginning June 21st. Tickets to all individual shows will go on sale to the general public on July 18, 2017. For information on the 2017-2018 Season, visit www.gevatheatre.org/2017-2018-season. All plays, artists, schedules and prices are subject to change. (585) 232-Geva (4382), OR VISIT GEVA’S WEBSITE AT www.GevaTheatre.org.